General Description: ​Challis Hot Springs​ is a 5th generation family-owned hot springs destination located in the Salmon River Valley of central Idaho along the Salmon River. This hot spring hideaway boasts two outdoor hot spring pools. Challis offers accommodations that includes RV and tent camping, and a Bed & Breakfast. Location: From Idaho Falls, Idaho is 150 miles or about 2 hours and half hours to drive to the hot springs. Accessibility: ​Challis Hot Springs​ ​is very accessible. You can drive up to the resort. The hot springs are an easy walk around the hot springs. This hot springs is not handicap accessible. Hot Springs: Challis Hot Springs boasts two outdoor hot spring pools. The Large Hot Springs Pool is gravel bottomed and Regulated at 100 – 102 degrees. 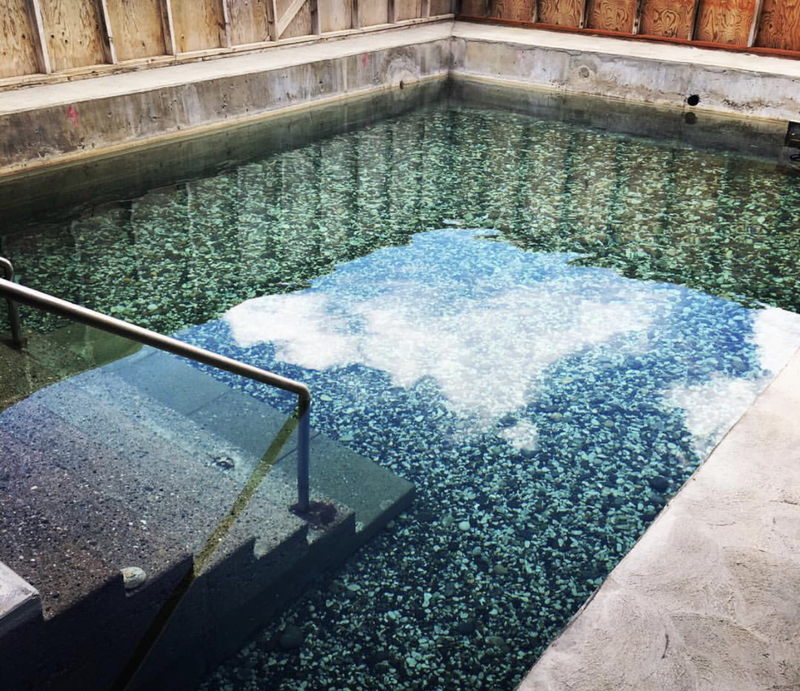 The Therapy Hot Springs Pool is gravel bottomed and the temperature flows at 105 – 107 degrees Fahrenheit. Chemical treatments is minimal because the constant and rate of flow of mineral water. Swim wear is required in both pools at all times. Hot Spring Tips: ​​Challis Hot Springs offers day use for non guests. 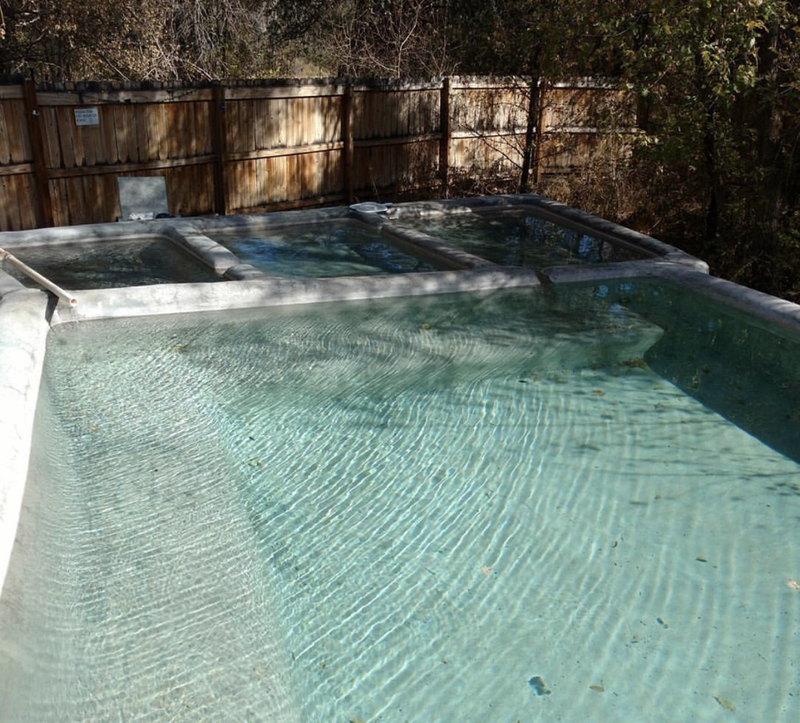 Challis provides unlimited use of the hot spring pools for registered guests of the Campground and Bed & Breakfast. Children (under 18) of guests of the Campground and Bed & Breakfast are welcome to swim so long as they are supervised by an adult at all times. ​Men’s and Women’s dressing rooms, restrooms, and showers are on site. Food, pop, and alcohol is prohibited in the pool area. Challis is pet friendly. Clothing is not optional. Bring your bathing suit. Youtube Video on Challis Hot Springs is below.